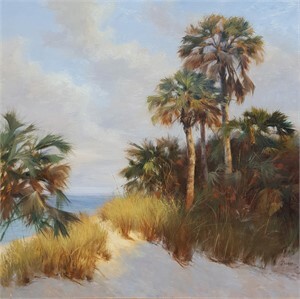 Mary Erickson grew up sketching the beaches of Long Island Sound and sold her first painting to Gulf+Western Industries in Stamford, Connecticut at 13.She studied at the University of Bridgeport and Sacred Heart University, and initially worked in small business management. 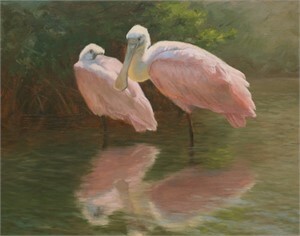 Erickson's passion for painting, and a move to Florida in 1986, stirred the desire to pursue art as a career. 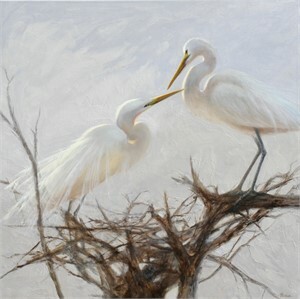 Finally, she realized a long held dream, and in 1993, Mary began painting professionally. 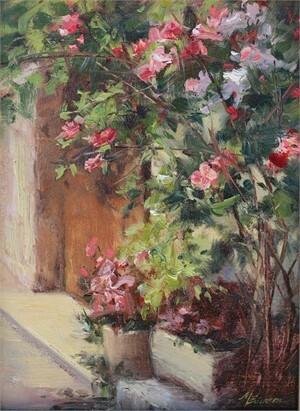 Preferring to work on location, in the tradition of painters since the French Impressionists, Mary travels extensively. 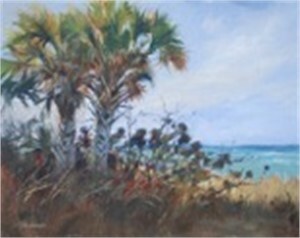 She creates field studies (plein air) then returns to the studio to produce large paintings using the visual knowlege and critical information gathered in the field.Painting tours have taken her to Spain, Guatemala, Argentina, Ireland and throughout the United States. Whether solitary excursions (like scouring the coast of Maine for painting sites with her rescue dog, Maggie) or group efforts with other professionals or students, Mary believes these painting trips are essential to an artist's career and growth. Future trips are planned to Italy, France, Costa Rica, Mexico and New Zealand. A lifelong conservationist, Mary's 39 acre residence in North Carolina is slated to be left as an artist retreat and bird sanctuary. 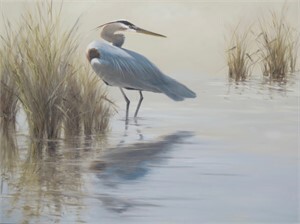 It is listed on the North Carolina Birding Trail, and can be seen at www.HighRidgeGardens.org. 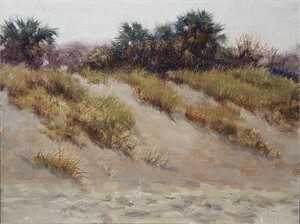 Mary is a founding member of SPAA (Southern Plein Air Artists,) a member of The Group of Eight, and The Florida Four, all Southern based alliances that are intent on recording the scenery of the rapidly vanishing natural southern landscape. 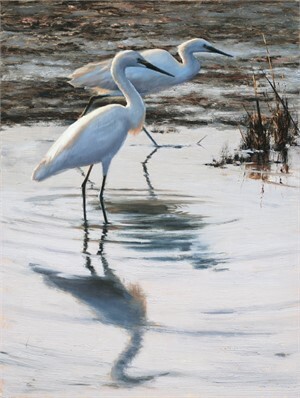 She is a Signature Member of the American Society of Marine Artists (ASMA).In addition to Artists for Conservation and the Society of Animal Artists, memberships include the Oil Painters of America and the American Impressionist Society. 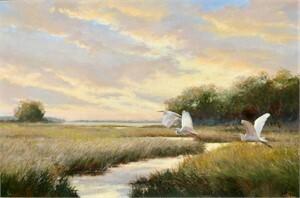 Mary has served on the board of Big Brothers / Big Sisters, and as an advisor to several national plein air events. 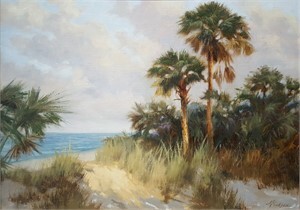 Erickson currently maintains studios in Marshville, NC and Venice, FL. 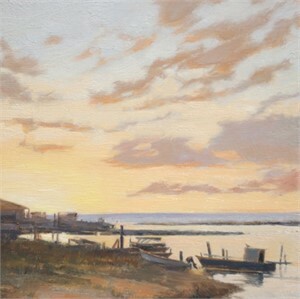 In the summer she rents a large house in Port Clyde, ME and shares the experience with other professional artists. 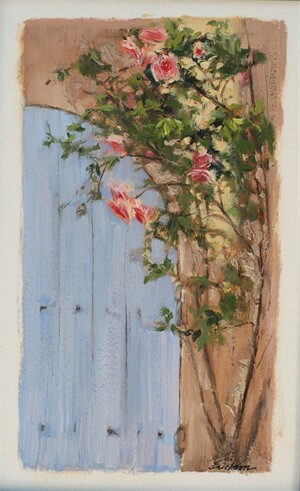 Daily painting excursions and art talks into the night typify the weeks into early September. 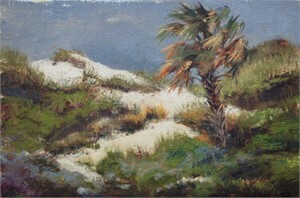 Mary's work is collected throughout the United States and Europe. 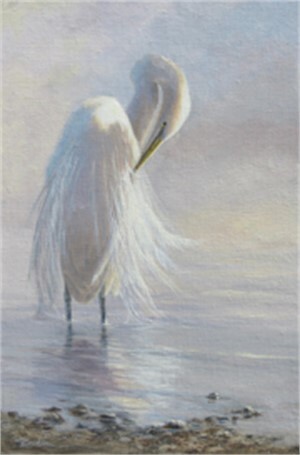 Her largest project to date is the creation of artwork for the WaterStreet Hotel in Apalachicola, Florida. This luxurious waterfront property features Mary's original oil paintings and reproductions in the hotel lobby and each of the suites. ARTISTS STATEMENT People find my work soothing and relaxing. Perhaps it is my reverence for the subjects I portray, and the spiritual sense of belonging I get when I am out in Nature. With a child-like excitement, I am awed and inspired by our planet. Paintings are my way of sharing its beauty. 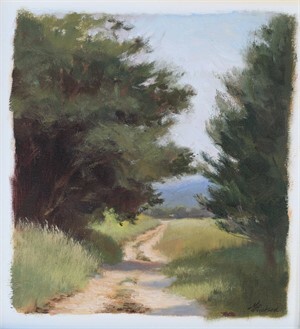 When painting outdoors, the emotion of the landscape is distilled through the artist, so the plein air painting is often not a literal translation, but a filtered rendition of all five senses. 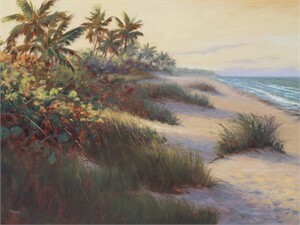 I want the viewer to sense the peacefulness of a place, hear the excitement of crashing waves, or feel the warm breeze on the beach. As much as want to portray the look of the landscape – I want to paint the experience of being there. I am searching for the truth in a scene, and when I find it and paint it, those senses and emotions all come through the brush and onto the canvas. As an artist I will leave a body of work that represents my lifelong passion and respect for our environment. I believe there will come a day when the only places we will be allowed a glimpse of true nature will be in the parks and preserves we set aside today. As it gets more and more difficult to find "natural" areas, we must protect the untouched and undeveloped and its inhabitants, now, and support the organizations that do so. My 39-acre residence in North Carolina is slated to be left for future generations as a bird sanctuary and artists' retreat, as a spiritual place to respond to Nature, listen to the wind and birdsong, and return to our roots as part of a greater whole. Every painting I complete is a step to further that goal. 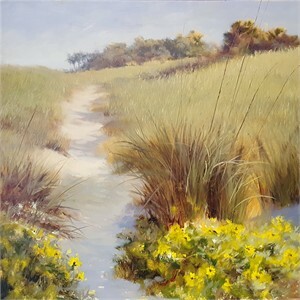 Mary Erickson grew up sketching the beaches of Long Island Sound and sold her first painting to Gulf+Western Industries in Stamford, Connecticut at 13.She studied at the University of Bridgeport and Sacred Heart University, and initially worked in small business management. 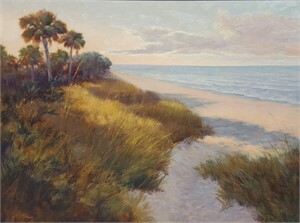 Erickson's passion for painting, and a move to Florida in 1986, stirred the desire to pursue art as a career. Finally, she realized a long held dream, and in 1993, Mary began painting professionally. 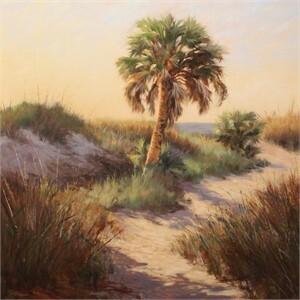 Preferring to work on location, in the tradition of painters since the French Impressionists, Mary travels extensively. 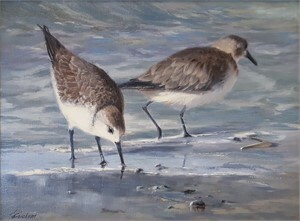 She creates field studies (plein air) then returns to the studio to produce large paintings using the visual knowlege and critical information gathered in the field.Painting tours have taken her to Spain, Guatemala, Argentina, Ireland and throughout the United States. Whether solitary excursions (like scouring the coast of Maine for painting sites with her rescue dog, Maggie) or group efforts with other professionals or students, Mary believes these painting trips are essential to an artist's career and growth. Future trips are planned to Italy, France, Costa Rica, Mexico and New Zealand. A lifelong conservationist, Mary's 39 acre residence in North Carolina is slated to be left as an artist retreat and bird sanctuary. 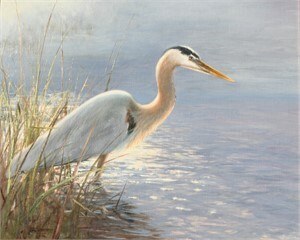 It is listed on the North Carolina Birding Trail, and can be seen at www.HighRidgeGardens.org. 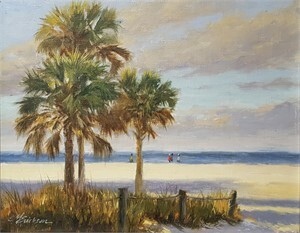 Mary is a founding member of SPAA (Southern Plein Air Artists,) a member of The Group of Eight, and The Florida Four, all Southern based alliances that are intent on recording the scenery of the rapidly vanishing natural southern landscape. 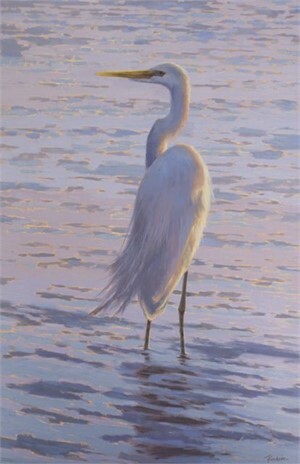 She is a Signature Member of the American Society of Marine Artists (ASMA).In addition to Artists for Conservation and the Society of Animal Artists, memberships include the Oil Painters of America and the American Impressionist Society. 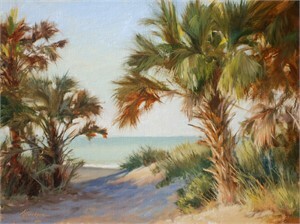 Mary has served on the board of Big Brothers / Big Sisters, and as an advisor to several national plein air events. 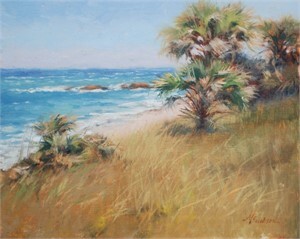 Erickson currently maintains studios in Marshville, NC and Venice, FL. 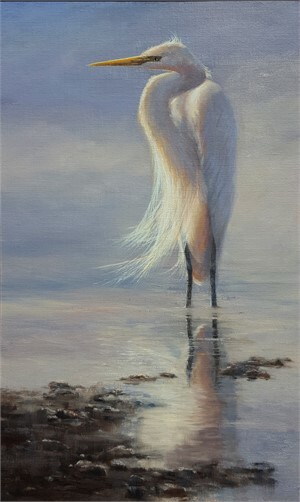 In the summer she rents a large house in Port Clyde, ME and shares the experience with other professional artists. Daily painting excursions and art talks into the night typify the weeks into early September. 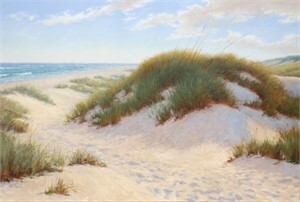 Mary's work is collected throughout the United States and Europe. 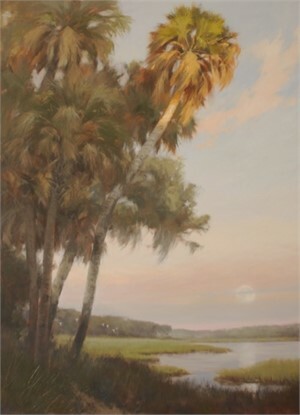 Her largest project to date is the creation of artwork for the WaterStreet Hotel in Apalachicola, Florida. This luxurious waterfront property features Mary's original oil paintings and reproductions in the hotel lobby and each of the suites. ARTISTS STATEMENT People find my work soothing and relaxing. Perhaps it is my reverence for the subjects I portray, and the spiritual sense of belonging I get when I am out in Nature. With a child-like excitement, I am awed and inspired by our planet. Paintings are my way of sharing its beauty. 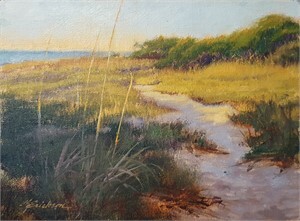 When painting outdoors, the emotion of the landscape is distilled through the artist, so the plein air painting is often not a literal translation, but a filtered rendition of all five senses. 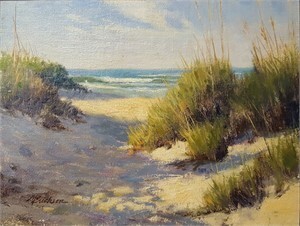 I want the viewer to sense the peacefulness of a place, hear the excitement of crashing waves, or feel the warm breeze on the beach. 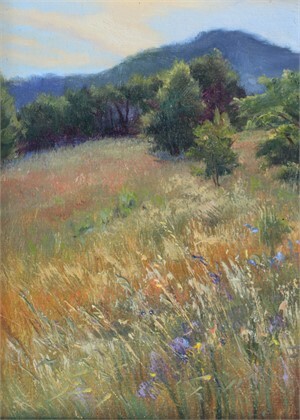 As much as want to portray the look of the landscape – I want to paint the experience of being there. I am searching for the truth in a scene, and when I find it and paint it, those senses and emotions all come through the brush and onto the canvas. As an artist I will leave a body of work that represents my lifelong passion and respect for our environment. I believe there will come a day when the only places we will be allowed a glimpse of true nature will be in the parks and preserves we set aside today. As it gets more and more difficult to find "natural" areas, we must protect the untouched and undeveloped and its inhabitants, now, and support the organizations that do so. My 39-acre residence in North Carolina is slated to be left for future generations as a bird sanctuary and artists' retreat, as a spiritual place to respond to Nature, listen to the wind and birdsong, and return to our roots as part of a greater whole. Every painting I complete is a step to further that goal.